Rick leads the partnerships team at GV (formerly known as Google Ventures), where he connects the largest companies in the world to GV’s portfolio. 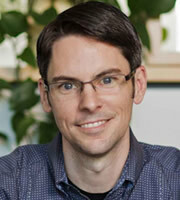 Rick was previously a product manager at Google where he led product initiatives on Blogger, Google+, and YouTube. Rick's earlier professional experience includes leadership roles at several software and Internet startups. He was an early employee at FeedBurner, where he ran the publisher services team until Google acquired the company in 2007. Rick received dual degrees from Lafayette College, and while a student at the University of Richmond School of Law, he founded the Richmond Journal of Law & Technology, the world's first student-edited law journal to publish exclusively online. Outside of his love of technology, Rick is also a political junkie. He provided technology advice to three U.S. presidential campaigns, ran the campaign blog for President Barack Obama in his 2004 Senate race, and ran product strategy for Google’s presence at the Democratic National Convention in 2008. He is a member of the board of directors of the National Center for Women & Information Technology and Defy Ventures Bay Area.